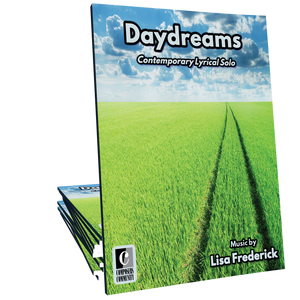 Chaos by Lisa Frederick is the perfect showcase solo piece for your students who are begging for fast and flashy minor-key pieces. 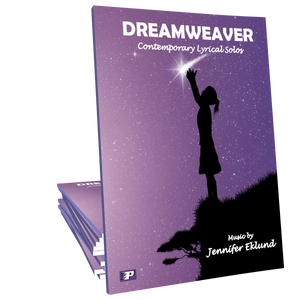 Ideal for late intermediates of all ages, this will be a hit at your next recital! My students and I LOVE this piece! "The right amount of teenage angst" is what one has humorously said. It's so great to be a part of their enthusiasm in learning it. Thank you, Lisa! Lisa, my intermediate high school freshman LOVED this piece! It was challenging enough to keep him motivated and sounded so impressive. The middle lyric section gives great opportunity for expression, too. Thank you! A fabulous piece! My student and I both enjoyed working through this, and his recent performance was well-received. Great contrast with the lovely lyrical section in the middle. Lisa's creativity shines in this gloriously speedy toccata. Students will be pleasantly surprised at how easily this piece falls underneath the fingers. Keep your studio license of this piece on hand--Chaos motivates like no other piece can. This was a hit at my recital! I now have a list of students wanting to learn it, and I confess I love to play it myself as well! Great showpiece for left hand runs, and the middle section is so lovely. Chaos is a sure-fire student hit! Flashy and fun with a nice surprise in the middle, students will have a blast playing this piece. A perfect performance piece for students who like fast pieces. Even my most picky student chose this one to play in our keyboard festival in a couple weeks! Fantastic little piece, I gave it to my niece for her birthday and she can't stop playing it. I gave Chaos to a student a week ago. When he came to his lesson this week he had not practiced his Bach, Kuhlau, Chopin or Debussy but he nailed this piece. He confessed it was the only thing he practiced. Thanks, Lisa! My teenage student has been difficult to please. When he heard this piece, his face lit up! Success! I recently gave this intensely fun piece to a student, who played through it, and about halfway through (with a smile on his face and excitement in his voice) said, "This IS Chaos!" Gotta love it! Very cool, flashy piece the kids will love! Great recital piece! My 12 year-old son and I immediately fell in love with this piece after listening to it the first time. He would like to learn and perform it at our year-end recital in 5 months. Both of us will learn this piece together. It is a great piece to work on technique and musicality, as well as to end a recital. Highly recommended. Oh yes!! This will definitely be in my recital this school year.